ZHU ZHU HAMSTER FUN! This is a cute little Easter or Garden Party hat will be adorable on your pet, it will stay on with the elastic, even when your Zhu Zhu Hamster is in motion. 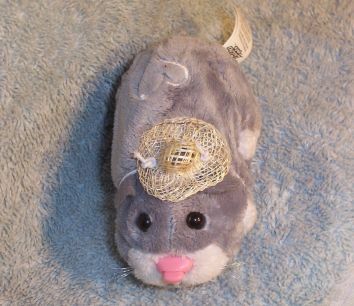 This item stays on the Zhu Zhu Hamsters head, even while in motion, with elastic. PLEASE NOTE: YOU ARE BUYING THE HAT ONLY. ZHU ZHU HAMSTERS NOT INCLUDED.